The greatest treasure of the Library at the Museum of Warmia and Masuria in Olsztyn is the so-called Copernican medical incunabula. It is the only book from Nicolaus Copernicus's library preserved in Polish collections. The joint binding holds two medical works: Breviary of medical practice (Breviarium pra[c]tice exelentissimi, A. de Villa Nova, Padua 1485) and Canons of fevers (Canonica de febribus, M. Savonarola, Bologna 1487). The first work is a compendium of all the medical knowledge at the time, whereas Savonarola's work focuses on medical conditions manifested by fever. The medical incunabula helped Copernicus to provide the services of the chapter doctor. In its margins there are notes containing comments on recommended treatments. Unlike other books, which made it to the chapter library only to later be plundered and to this day remain in Sweden, the incunabula met a different fate. The book passed on to the next chapter medic, Fabian Emmerich. Thanks to the notes on the front endpaper, we know also the subsequent owners of the volume. 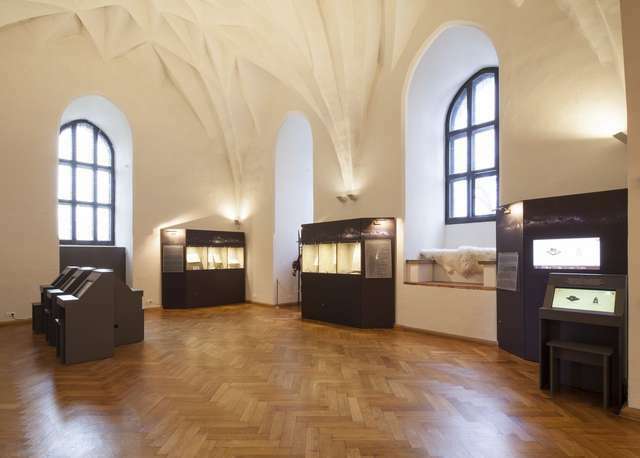 These were: Jan Hanovius, Baltazar Ramocki, the Order of Friars Minor in Barczewo and Lyceum Hosianum in Braniewo.